Want to make an impact on your blog? Lumen5 can shake things up! These days, video is king, and a quick view of any of your social media feeds will show you that more and more people are using video to get their messages across to their audience. Video can be used as a mini-blog post, and is simple to do with an iPad or smartphone. Just prop it up and record! But what if you’re camera-shy? I happen to be in this category, so if this is you, I feel your pain! Thankfully, there is a unique and ingenious way to transform your current blog posts into short videos, without the need to be in the frame. This free website is amazing, but don’t’ take my word for it! Visit the website yourself and check it out. Choose a video format, if you wish. Choose a theme, if you wish. 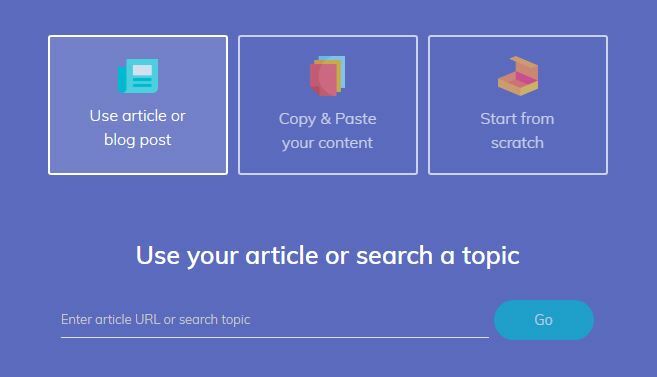 Lumen 5 then tracks down your article and pulls the text from it. In this screenshot, you can see that your article will be on the left, and your video preview will be on the right. I’ve added my logo as the final clip. The key to turning a blog post into an article using Lumen5 is to keep it short. The most effective videos on social media are only a minute or so long, so just focus on the key points. 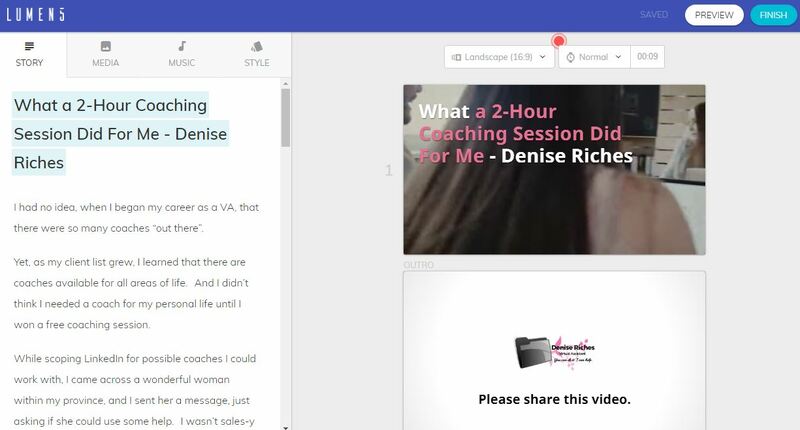 Be sure the most important parts of your message get added to your Lumen5 video. My videos are branded with my colour, so you’ll notice the pink text. I can change this by selecting the text I prefer to have pink, and then I click on highlight. The text colour will change. I can also change where the text will be located. By clicking on text position, a grid will show, and the text will move to whatever segment I click on. Here, I’ve moved it to the bottom left, where the background is darker, and the text is more visible. 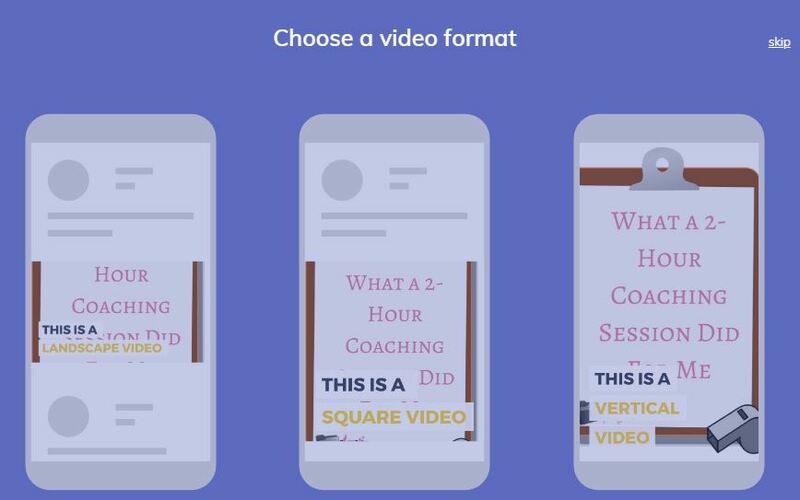 To add article tidbits to your video (your key points, remember), highlight the text on the left that you want to add to the video. To change the background image, click on media within Lumen5. You can search for specific images. When you find the image you want to use for your text, drag the image to the clip you want to apply it to. Change your highlight and text position if necessary. The same procedure applies if you want to use a video clip for your text. Drag and drop. Go through your article, repeating these steps until you have most of your key points included in the video. Once it’s complete, click Finish and choose the size of your video. You can also watch a preview here. Go back and make adjustments if necessary, or click Finish. 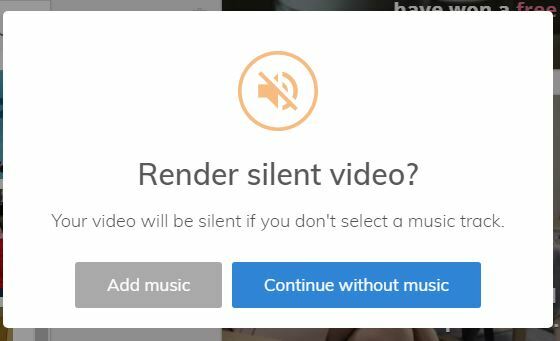 Next, you can choose to add music to your video, or leave it silent. 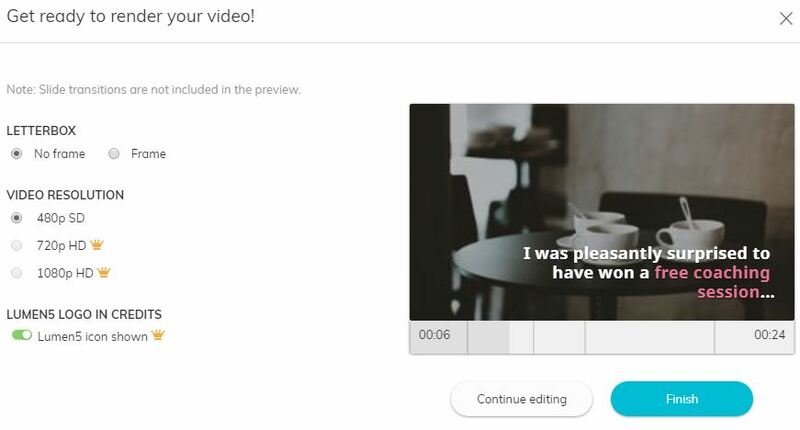 Lumen5 then renders your text into a video format that you’re able to download and save. From there, you can upload the video to your YouTube channel, and share from there to your social media feeds! Lumen5 is a fabulous way to incorporate videos into your social media or website, especially if you’re camera shy. If you aren’t sure you have the time to do this yourself, I can help! Comments? Questions? Email me at info@deniseriches.ca. Let’s talk!